When I heard that my band had been invited to play in the parade for Santa arriving at a local shopping centre in November, I was excited. It sounded like a fun thing to be part of. I was sure there would be a large crowd, with lots of excited children, and that the atmosphere would be one of joy and celebration. However, I didn’t foresee that it would also be one of my most stressful musical experiences ever. We only saw the music we had to play around half an hour before the parade began, which wasn’t ideal, but it wasn’t difficult so I thought we would cope. It was only when we went outside to line up that we realised how dark it actually was. There was no chance of us being able to see the music well enough to read it! The only thing we could think of was to try and memorise the music! I spent the fifteen minutes we had to wait running through it over and over again, playing quietly and trying desperately to train my fingers to remember the patterns of the notes. It certainly sharpened my focus! I didn’t even notice the drummer (who had no notes to memorise!) taking a photo of me as I desperately tried to cram it all into my brain! In the end, it went ok. Those fifteen minutes of frantic cramming had been enough… at least to get it into my short-term memory – don’t ask me to play it now! It’s definitely not a strategy I’d recommend though! Where am I going with this strange story? Well, it led me to think about the benefits of memorising parts of the Bible – not in a panicked, last-minute-cramming-before-a-test kind of way, but in a thoughtful and intentional way. So many times in life, we find ourselves in the dark. We lack wisdom or direction, we’re beginning to feel overwhelmed by circumstances, or the voices around us are not speaking hope and truth. What if we had God’s Word – God’s truth – inside us, to the point where it came to mind automatically? What difference would that make? From my experience, it makes a massive difference. I remember a Bible verse I learned as a child once popping into my head completely out of the blue, around ten years later, at the moment I needed it most. I remember sitting in hospital, worried about upcoming tests and potential diagnoses, reading Psalm 91 over and over again to the point where it is now permanently ingrained in my mind, and later knowing it giving me comfort and strength in other times of anxiety. I know that when I use odd moments while I’m standing in line, or waiting for a bus, or even as I’m drifting off to sleep at night, to remind myself of verses from the Bible, it calms me. It restores my perspective and reminds me of what’s really important. It’s not just about learning the words. It’s about absorbing the truth of the words and allowing it to change me. What can be better to fill our minds with than God’s Word? And as we make that choice to fill our minds with truth, surely that is what is going to come out more and more in our words and actions. Learning God’s Word prepares and equips us so that, no matter how dark and uncertain the path ahead, we can move forward knowing that he will strengthen us and guide us. Do Not Depart also organises Bible memory challenges from time to time. I have taken part in a few of these and found them to be really helpful. I have appreciated the accountability and support of doing it in community. Visit their blog to read about the latest memory challenge and find out how to sign up. What about you? What helps you to memorise Bible verses? What benefits have you seen from doing it, or what have you found difficult? It is amazing to me when a memorized Scripture pops into my thoughts at just the right time. It was good to be reminded to memorize even more! Thanks, Joanne! Yes, I love how God can do that! I love this post, Lesley! Just this morning I was awake at 4 a.m. so I was reciting verses I’ve memorized (in my head; don’t want to scare the husband! ha). Thanks for sharing about Do Not Depart. And I’m headed off to look at the other links you shared. Thanks, Lisa! Hope you find the other links helpful! That’s great, Lisa! Thanks for sharing the link. I’ve just signed up and I hope others will join us! We gave our trumpeter son a battery powered light for his stand for Christmas because of this very same dilemma with concerts. Thanks for the challenge to do our memorizing BEFORE we need the words, so that they will be available when we do need them! I’ll need to get a light for the next time! Yes, memorising the words before we need them is much more helpful! We do need God’s word. More than food! Thanks for the reminder, Lesley. Blessings to you! I’ve had scripture pop into my head at just the right moment, too! I love how God speaks to us through our dedication to memorize his words. Yes, it’s great how God can use it when we take the time to memorise! What a great analogy! I find that the verses I often turn to are ones I memorized as a child, or ones I learned through song. I wish there were more verses put directly to music, because that is definitely the easiest way for me to memorize. Thanks, Katrina! I agree – I can learn song lyrics easier than anything else! It is hard to find songs with the words directly from Scripture that also have good music. Memorizing scripture is so important, even (maybe especially for) children. My mother-in-law often tells the story of her mother praying for her brother who had turned far away from God, that he would remember the scriptures he learned as a child. When he came back to God, he told his mother that he could not lay his head down on the pillow at night without those verses running through his head. His word will not return void. That’s a fantastic story, Tracey! Thanks for sharing! God’s Word is powerful! Thanks for sharing such wise encouragement. Indeed, it is such a blessing to have God’s Word hidden in our hearts. An amazing blessing! Thanks for visiting, Karen! The verses that come to mind are the ones that the Holy Spirit has enlightened when living those words. Ie. “Let Go & relax, know that I am God” Ps46:10 when we are concerned about something or one etc. I love Psalm 46:10 as well, Jennifer! Thank you for sharing the story of your frantic music memorization. It does help to explain the need for becoming familiar with Scripture. I also try to hide God’s word in my heart. Blessings to you! Thanks, Laurie! Blessings to you too! We need His Word in our hearts like we need food in our bodies to strengthen and sustain us, don’t we? I find this so true – “It’s not just about learning the words. It’s about absorbing the truth of the words and allowing it to change me.” Love and blessings to you, Lesley! Thanks, Trudy! Yes, God’s Word definitely strengthens us and sustains us. It’s so important to feed on it regularly. Love to you too! Scripture memory has been so important in my life. It really helps to have those needed scriptures come up when you really need them. I haven’t done much scripture memory lately so I need to get back into it. Thanks for sharing your thoughts the resources for memorizing scripture. Blessings to you! I’m your neighbor at #LMMLinkup! Thanks, Gayl! I definitely go through phases of memorising a lot and phases of doing less. It’s amazing how verses can come back to you just when you need them. Hope you find the resources helpful! YES. This point really grabs me: “It’s not just about learning the words. It’s about absorbing the truth of the words and allowing it to change me.” I’m glad you were able to play in the dark, and so grateful the light of Christ is in US, especially through His Word. Thanks, Bethany! Yes, it’s so encouraging that with Christ we never have to walk in darkness! You’re welcome, Betsy! Look forward to reading your post for this week too! Thanks, Amy! I love Psalm 34, and listening to Scripture while you’re driving is a great idea too! Lesley, hi! I love your emphasis on thoughtful and intentional memorization and reflection on God’s Word. I find that all those verses I memorized in the King James Version as a child come to me in the night, word for word. I take great comfort and hope in them, they calm my soul, they remind me I am loved. And that He’s got whatever Has caused me to lose sleep. Thanks, Linda! Yes, having verses in our minds can be great for those restless, sleepless nights. God’s Word is the best thing we can focus on in those times! It’s a lie that we can’t memorize verses. We memorize other things. Of course, we have an enemy who doesn’t want us to do that, so we have to fight the spiritual aspect of it and just commit His Word to memory. thanks for the push! It’s true, it can be a battle at times, but it’s definitely worth making the effort and persevering with it! Sometimes, I’ve written verses on a spiral index card pack and studied and memorized while walking on the treadmill. 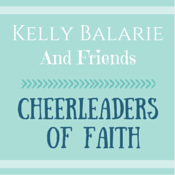 Thanks for sharing the links to help us be more intentional about this! Thanks for sharing the ways that work for you to memorise Scripture, Jeanne! Writing verses down helps me too. Thanks, Lois! I definitely find music is one of the most effective ways to get something into my head! Lesley, thanks so much for sharing with us these resources. 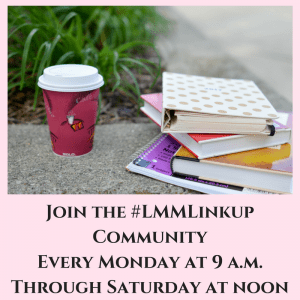 Your post was the most clicked on the #LMMLinkup with past week.